It was just an hour, with a short introduction, starting with a warm up exercise to get their brains started up, and then 3 short time boxed iterations in 7 groups of 3-4 people. And then we had a 2 min presentation from each team on their combined idea in the team. Really excellent stuff! A couple of the participants had done Design Studio before, but most of them had not. One of the participants said afterwards “When we got the mission, I had absolutely no ideas at all. But after just the first iteration I had plenty!”. Thats the way it works, you generate ideas and find solutions and see them from different angles as you work together. The more diverse your team is, the more perspectives you will see at the same time, and the better your ideas will be. In the start of a new thing you might want to invite stakeholders, customer service, HR, marketing or others. When you do your sprints, you might pick some one outside the team to get a broader picture. ILLUMINATE – Set the framing for the design studio. What is the focus? 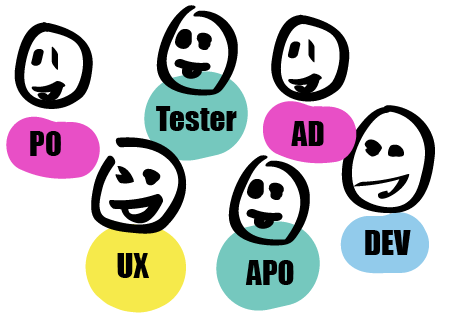 Is it a specific problem on your sprint planning, is it innovation for a new market, is a flow of a specific persona, or is it a specific interaction design problem? SKETCH – Sketch on the ideas that YOU have, from YOUR perspective. Use a big A3 paper, fold it in 4 squares, sketch one idea in each square. 4 minutes. Set the timer. Focus and be quiet. 1 minute in each square. Second and third iteration, you might want to sketch more focused on one idea and use the full paper. PRESENT – Present your different ideas for your group in brief, dont dig into details. Present the bad ones as well, the probably led you towards a new idea. 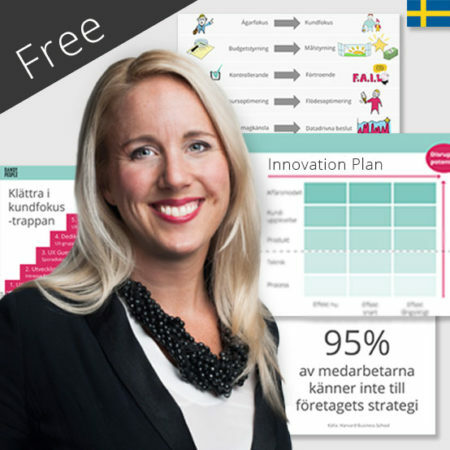 30 seconds presentation per person, and then do critique for each person directly in 30 sec. CRITIQUE – If you think the idea is brilliant, you can say that. But dont start elaborating into the idea in a discussion… just steal the idea and build on it! PICK YOUR WINNERS – Depending on the reason for the Design Studio you might want to dot vote with your team on the most interesting ideas to bring with you and work with in the sprint, to do a prototype for, test with real users, create a business case with, or a technical spike you want to do because you found some risks you where un aware of. Dot vote with 3 votes each on what you want to move forward with. You always need to focus on how you can create value. After a Design Studio, you could start evaluating different ideas and create experiments to find out where the valu is. 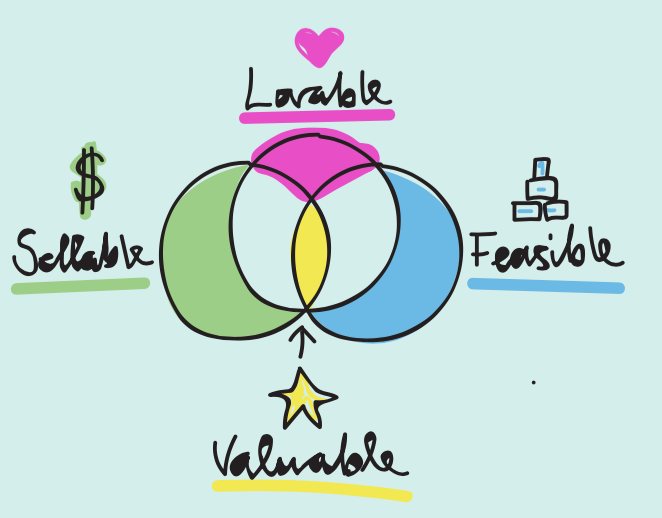 Is it lovable, will it solve a problem for a prioritized persona, a real user? Can we sell it, is someone willing to pay for it, and how much? Can we build it, or can we invest in creating it? 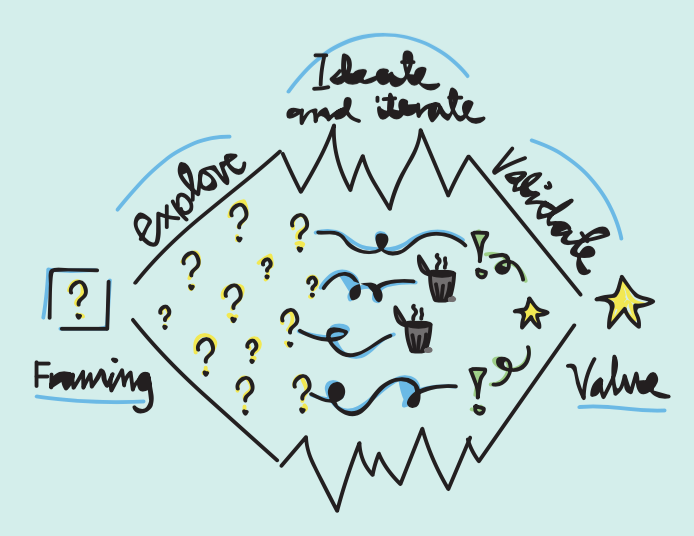 This visualization of the Discovery Process and how you open up for as many possibilities as possible from different perspectives, and then get creative and validate your ideas, and move on with those that creates value. It is a rather energising process once you learn how to do it, but it also takes a lot of energy. Therefore we want to keep short time boxes, we will not get better result if we spend more time. First we set the framing, then we want to get as many perspectives as possible, explore possibilities and empathise with the customer. Then we ideate as a group for solutions in more details, and validate our hypotheses and change as we learn. The Design Studio could be the start of this process, where you find as many different opportunities as possible, and then prototype and dig into more detail, or do what ever you need to be able to validate them with real users and find the best ideas that creates real value. 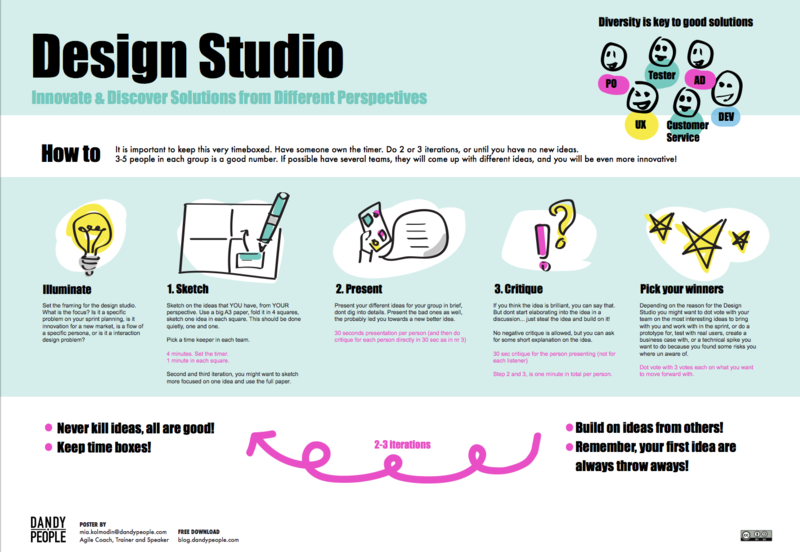 The poster is a great way to remember your team to do Design Studio if you put it on your wall, or put it on the tables in the workshop to give the participants the rules and details of the methods. How do you use Design Studio?